The logos of reputable companies that you're associated with/endorsed by, providing further customer confidence. Note that in this example you'll likely need to create & assign an ad_group to the advert to maintain a specific set of adverts for this space. 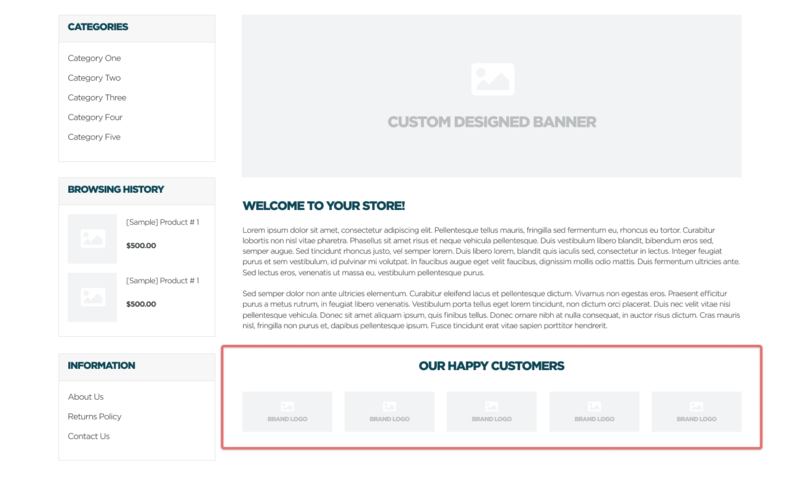 We have used an ad_group for our example, but using a custom content type & a thumb_list may be another solution if you need to have more complex thumbnails or content behind each brand.